The CW’s The Flash season four premieres on October 10, 2017 with an episode titled “The Flash Reborn.” The new season begins with the team having to deal with Barry’s disappearance into the Speed Force and during our interview at the 2017 San Diego Comic Con, Carlos Valdes teased Cisco will be trying to free Barry (Grant Gustin). Valdes also discussed Cisco’s relationship with Gypsy and his evolution into a superhero. How is Cisco handling it without his partner, Caitlin? Is Cisco a full superhero at this point? Does being a superhero suit him or does he struggle with that? Is he better as the backup? Now that he has a connection with Gypsy, does that mean there’s more romance for him in season four? The show started out as one of the brighter spots in the DC universe but it feels like it’s gotten really dark. Is that feeling shared? 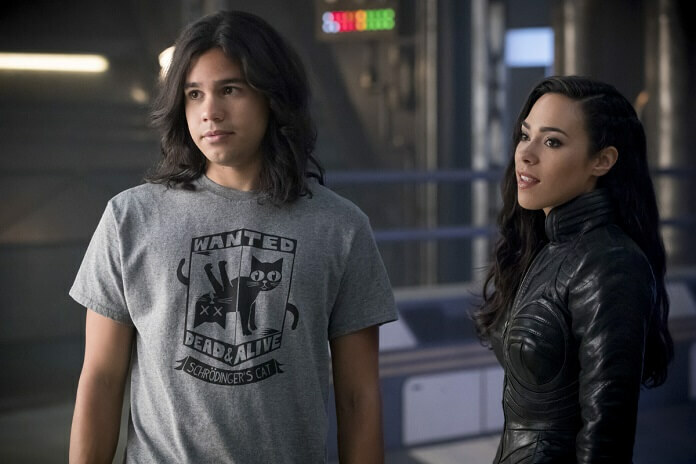 Will Cisco still be coming up with the nicknames for the villains this season? How does Cisco feel about Iris being in charge of the group?